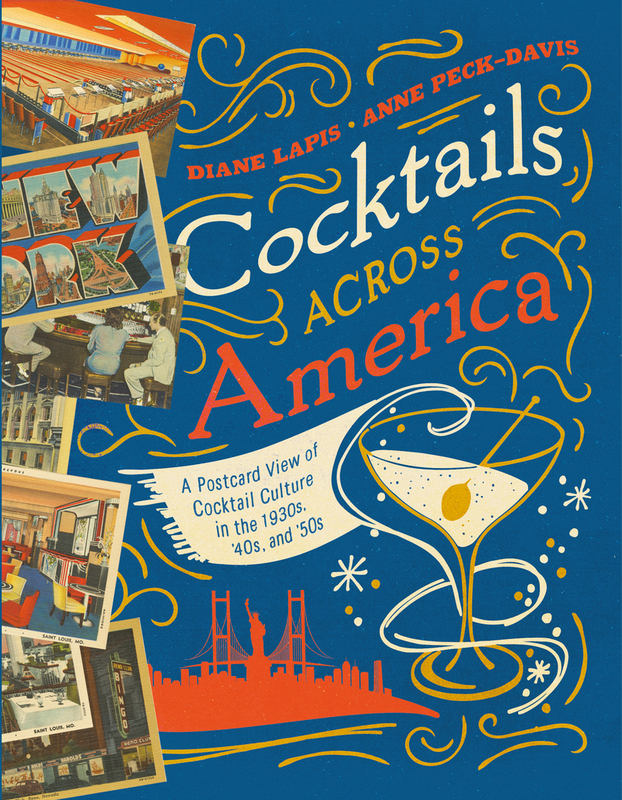 Cocktail culture boomed in the United States after Prohibition, starting with the jazz-filled cocktail lounges and elegant supper clubs in New York City and, as rail and automotive travel advanced, flowing all the way to the postwar-era resorts and cabaret night spots of California and beyond. Barkeepers and mixologists across the country were developing new-fangled concoctions like the Red Snapper, the Santa Fe Cooler, and Cooper’s Ranch Punch. A newly liberated America couldn’t get enough. The unique cocktail lounges, hotel bars, and other more exotic drinking venues (ice rinks, carousels, and tropical gardens, just to name a few) defined this era of drinking culture and were immortalized in the linen postcards used to advertise them. With over 50 vintage cocktail recipes (including several modern twists), fascinating historical vignettes, and more than 150 pieces of vintage ephemera, you will be transported to an era of unbridled indulgence and distinct glamour. Diane Lapis has collected postcards for the past thirty years and revels in unveiling the hidden stories behind each image. She loves to travel and visit historic places, especially old bars and cocktail lounges. Diane is an independent researcher and a trustee at the Beacon Historical Society where she researches, writes, and presents topics on local history. Diane and her husband live in Beacon, NY.